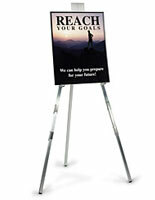 This aluminum easel, also called floor standing display, can be used to hold up artwork or sales meeting figures. The tripod requires no tools to assemble. 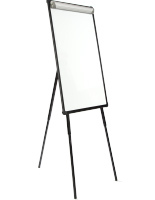 Each aluminum easel that has a flip chart clamp can easily collapse closed for either quick storage or easy transportation. 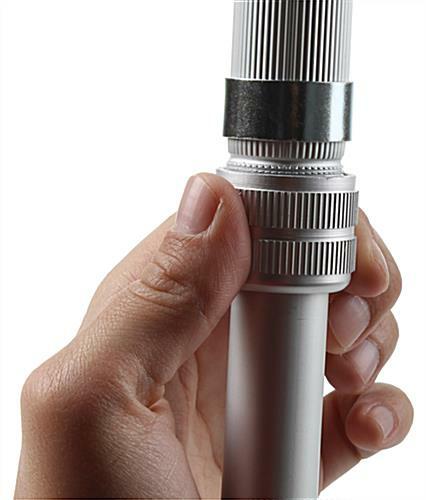 The telescoping tripod is lightweight, making it easy to carry. 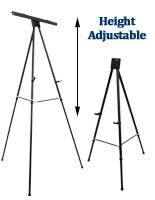 The aluminum easel comes with an adjustable fixture just above each of the three feet. When this fixture is loosened the feet can then extend outwards. 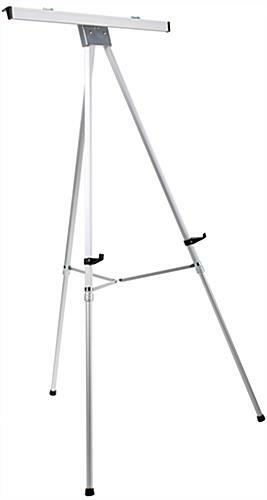 Each aluminum easel that has telescoping legs can adjusted anywhere between the heights of 37-1/2"h and 69"h. The telescoping floor standing tripod comes in a sleek silver finish. 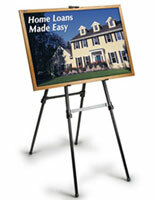 Each aluminum easel has (2) rubber arms to support any poster or picture frame. The rubber arms can be moved up and down on the two front legs to properly position the object being held. 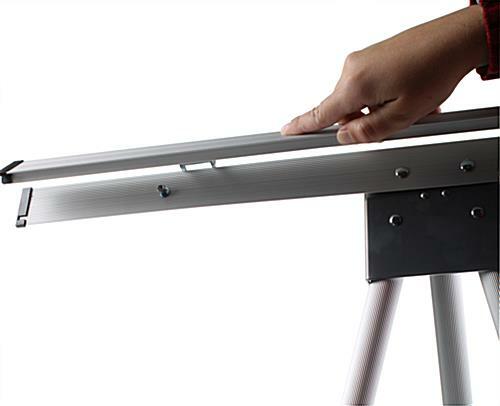 The aluminum easel also comes with a removable metal clamp that is attached to the top of the display with (2) wing nuts (are included). 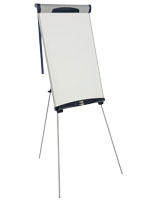 The metal clamp is used to hold up sales meeting materials or presentation papers. 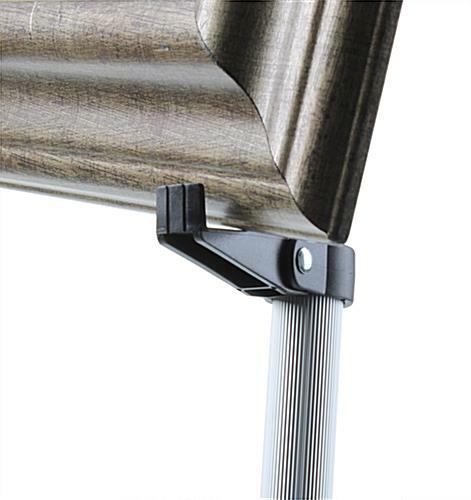 Each aluminum easel has rubber feet on the bottom of the legs, preventing the display from scratching floors. The telescoping tripod can be used outside wedding halls to let guests know which room is for the party they are attending. 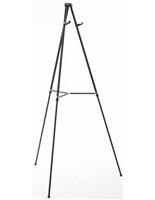 The aluminum easel that is adjustable can also be used in art studios by artists. 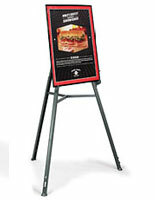 The telescoping display can be used by students, teachers, managers, artists and more! 37.0" x 64.0" x 39.0"
21.5" x 37.5" x 21.0"
This easel is very sturdy. Great product! I like the display easel. It is very easy to handle and is compact. 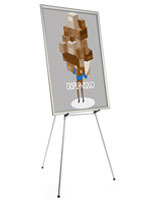 I would recomment that a case to contain the display easel would be helpful. We are glad you were so happy with your order, Nelson! Thanks for the feedback.